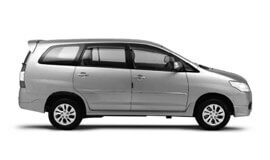 With us, you can enjoy the best of full day car hire service in Bikaner to make your trip comfortable, safe, and memorable. We offer full day rental service to suit a number of local tour purposes such as sightseeing, attending meetings, shopping, seminars, visiting hospitals, and a lot more. You need a lot of time in hand to enjoy the grandeur of a city like Bikaner. But it is not always possible to take out ample time from busy schedule to enjoy magnificence of various cities across the country. Don’t worry! We will take care of this. Our half day hire service will ensure you the best of tour experience within a specified period of time (as allotted or preferred by you). Some of the most popular services under this category include Airport Transfer in Bikaner, Car rental service for Marriage, party and event, Corporate Cab Rental in Bikaner, Railway Transfer, visiting hospitals and a lot more. Looking for excellent quality to and fro service? This is what we specialise in. Our roundtrip service is available for various destinations from Bikaner. Our one way drop hire service will help you enjoy premium quality taxi service to your desired destinations starting from Bikaner. If you are looking for visits to multiple cities at a given period of time, visit us for your requirements. We offer high quality service sans any hassles and inconvenience. With us, you can rest assured about having a unique travel experience throughout. We customize car hire services to suit our client’s demands. Our team will listen to your precise travel needs and budget to help you get the best. We guarantee the best car rental services in Bikaner at highly affordable prices. Summer season in Bikaner starts from April and extends till July. June is the hottest month here. Winters in Bikaner start from November and carry on till March. January is the coldest month. Winter rains are seen during January and February. As per official census report for the year 2011, Bikaner district has a population of 2,367,745 residents. Tourism is one of the most significant revenue raiser of the city. Bikaner is rich in tradition and culture. Art and music of Bikaner is famous all across the globe. Bikaner is a beautiful city in Rajasthan state of India. It is widely celebrated by tourists for its historical importance, magnificent forts, graceful havelis, and many acres of white sand, and travel attractions. Some of the best places to visit in Bikaner include the Junagarh Fort, Ganga Golden Jubilee Museum, Shiv Bari Temple, Prachina Museum, Ganga Golden Jubilee Museum, Sadal Museum, Kote Gate, Gajner Wildlife Sanctuary, Laxmi Nath Temple, Deshnok Temple, Prachina Museum, Jain Temple Bhandasar, and many more.